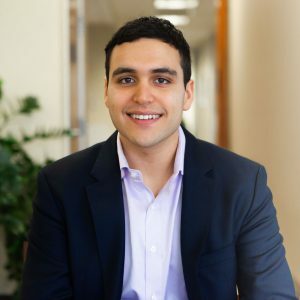 Ashwin Puri works as an analyst supporting Invest Detroit Ventures’ investment team by deal sourcing, screening incoming deal flow, conducting due diligence, and pitching to the fund’s investment committee. Ashwin holds a Bachelor of Arts in Government from Georgetown University where he focused on public policy in economic development and international relations. While at Georgetown, Ashwin was highly engaged with his university’s startup ecosystem as Board and founding member of Georgetown Ventures, the D.C.- area’s first university startup accelerator. Before entering the venture capital community, Ashwin had wide-ranging experience in government, working on campaigns and interning at the U.S. Senate and the White House for the Obama Administration. He has studied abroad in Rome and worked in China for the U.S. State Department’s political section at the Beijing Embassy. Ashwin ran consulting teams as Project Manager for Innovo Consulting and led investments as a Summer Analyst at First Midwest Group, a diversified real estate developer and investment firm.